Mr. James W. Rouse appropriately was identified with various professional titles, including attorney (although he never practiced), mortgage banker (early in his career), real estate developer (i.e. planned communities, shopping malls and “festival marketplaces”) and affordable housing advocate (he founded The Enterprise Foundation organization, whose mission is to “… create opportunity for low- and moderate-income people through affordable housing in diverse, thriving communities”). However, his legacy is most honored by the title of visionary, as he served as the innovator championing the development of the planned community of Columbia, Maryland. 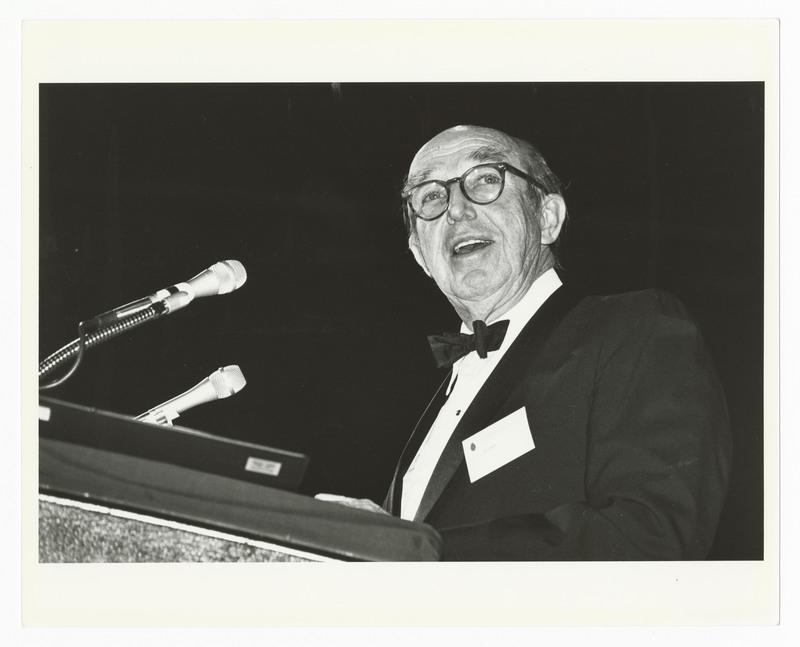 Rouse’s legacy is preserved in diverse means, including his rich vast collection of personal and professional papers housed within Columbia Archives. As the custodians of Rouse’s tangible legacy — and in partnership with Howard Community College’s (HCC) Rouse Scholars Program — this online exhibit features four original speeches delivered by Rouse and other supporting materials that highlight the content of the speech. The exhibit was researched and arranged by two Rouse Scholars Program members, Brian Loveless and Matthew Overton, with the support and direction of the archives staff. Loveless and Overton approached the archives with an idea for a project to create a tool to encourage their peers to get to know Rouse better and provide a view of Rouse through his words to the Columbia and research communities. It is Columbia Archives’ goal to expand this exhibit over the years ahead to provide greater access to Rouse through “His Words.” We are confident that you will find the content of this exhibit to be interesting and inspiring. As you view this exhibit, we encourage you to read, ponder and visualize Building a Better Future In His Words.